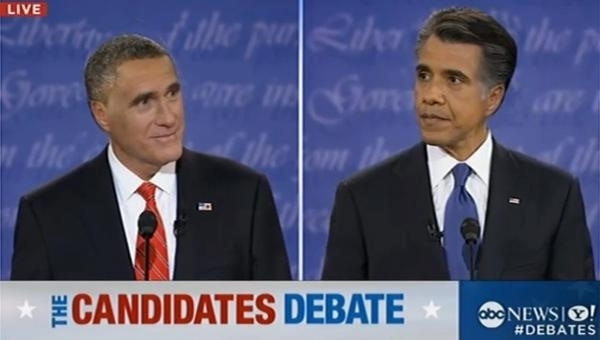 Hair switcheroo at the debates | Hair Part Theory – Discover the Difference! is this a joke??? seriously? i dare you to present the antithesis of your entire theory to an audience that hasn’t yet heard it. falsify the results to suggest that right-parters are more poweful, and successful, etc. then, watch as the audience begins to agree–especially the idiots. if you believe in teh power of suggestion, then you’d also agree that saying “note how the left part makes Obama stronger” is suggestive, and entirely disingenuous. its not a joke, its a theory about how people appear to respond to hair parts and how mainly among men, this leads to personality types and traits. Through interactional continuity, where every interaction has a built in bias, impressions are always leaning towards left brain or right brain for nearly everyone who interacts. This is not by all means everyone, and there are exceptions a plenty, but when you look up and something matches more than 70-80 percent of the time, its probably got a lot of validity. I would love to have more testing done on the theory – in fact, what you suggest should be an excellent test just to see – i still maintain that it would pass the antitheses, not that some wouldnt go along, but the percentages differences should still help confirm the theory. How come the handedness of a person is not discussed???? Also, I noticed on other sites that make a reference to Goerge W Bush and Al Gore, implying that Al Gore lost because he was perceived as a weak leader, due partially to the fact that he parts his hair on the right side…Are people forgettign that he won the popular vote????? The handedness may determine why someone parts on the right or left, but has nothing to do with me, as a viewer, would prejudge that person’s hair part and the subconscious signals it sends. I have done the reversal, showing pictures and their reversed, with people, and they usually agree with the thesis. re Al Gore, according to most estimates, he should have won easily based on qualifications (overwhelming in the popular vote and easily in the electoral college), but there was “something about him” that rubbed people the wrong way. Very typical of right hair parting men, especially non-famous ones you will see around you. That said, there are also some incredibly powerful leaders (political and otherwise) who were right parters – Hitler is one. The weakness is a typical response of most viewers, my belief is that some men will respond by overcompensating in the other direction. Yes, the Hair Part Theory is odd, and you can challenge it with numerous exceptions, but it still holds true many many more times. Its best considered similar to the theory of body language – strong tendencies, but not definite. The clearest thing you can say about men with right hair parts is that they are strongly unique – they carve out personalities that dont match others. There’s no-one like Hitler, Andy Rooney, Steve Martin, Charlie Rose, Robert Frost, Ted Kopell, Al Gore…and they are as different from eachother just as much. 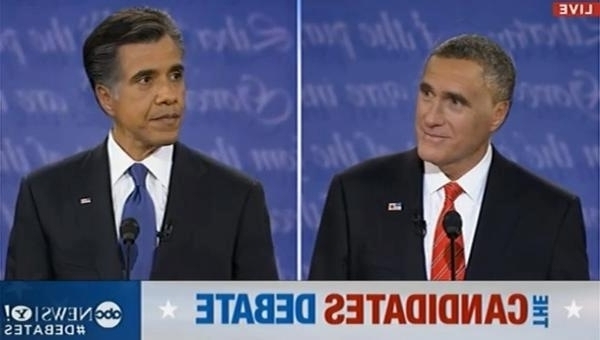 Compare to Mitt Romney, who is almost cookie cutter typical male character. A lot of men with left parts are similar to others. Not the same with right parters at all. Since you mention Hitler (thereby invoking the Internet maxim known as Godwin’s law! ), I wonder if he didn’t ruin the image for right parters (especially those with pronounced comb-overs), just like he basically made the Charlie Chaplin mustache and untenable facial hair choice for any man after WWII. For the record, your theory did convince me to change from a right part to a left part because, really, it couldn’t hurt. Since I’ve only recently done this, I’ve yet to take note of the results; however, I notice that my photographs now look like my mirror image used to. Conversely, I’m still getting used to my new mirror image (which looks like a right part, which is what the rest of the world used to see when they looked at me, and I kind of see what you mean). Handedness may cause the hair part to appear one side or anohter, but it doesnt affect how i, as a viewer would respond to the hair part that you are wearing. In other words, some people say that left parts dominate because its easier to pull your hair from left to right with the more dominant right hand, but it almost as easily been pushed there from the left hand if that was domniant. Al Gore did carry the popular vote, but not by any kind of dominant amount – where based on capability and credentials, he should have swept in easily. Many times people would say that “there’s something about him that i don’t like”, whereas GW always was the one you would have a beer with. Not the best reason for picking a President, but heck, welcome to our world in the 21st century.